You are here: Home / Miscellany / I’m a Real Quilter! 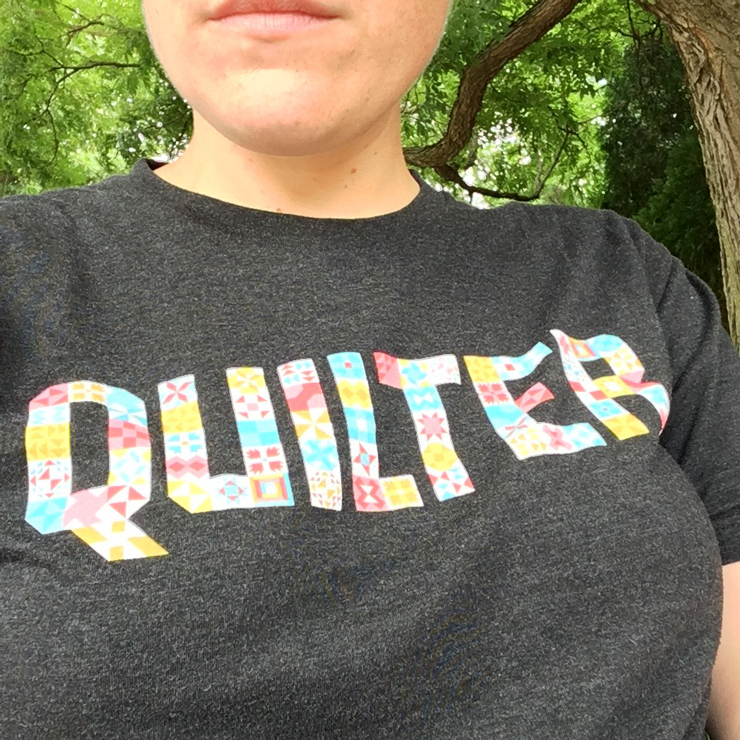 I got this Maker Valley Quilter shirt but have always felt like a bit of a fraud when I wore it. I’ve got a stack of quilt tops but hadn’t actually finished a quilt so it felt disingenuous to call myself a quilter. 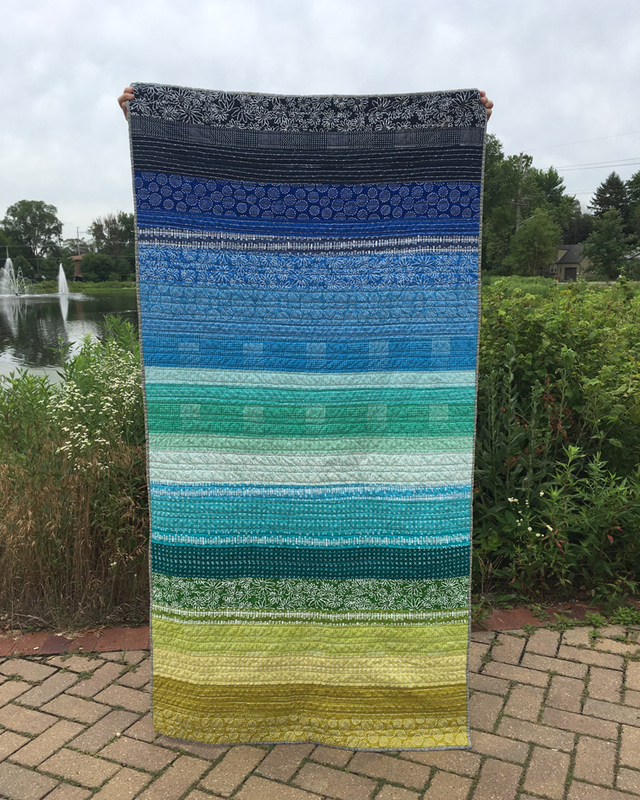 But I finally did it, I finished a quilt. It’s not perfect, but it’s done and I love it. For Christmas my husband got me a jelly roll of Blueberry Park fabric and I made a really simple quilt top. 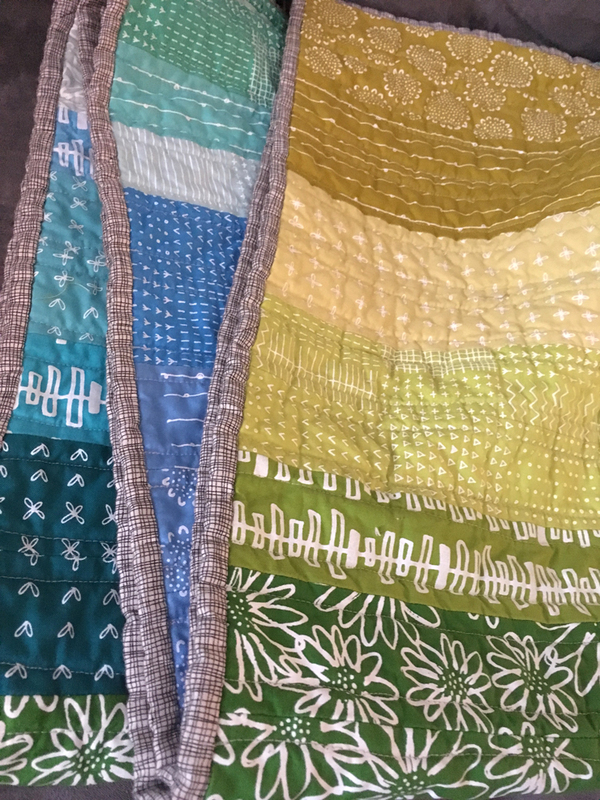 I used Aurifil thread and did simple straight line quilting down each stripe. The stitches aren’t consistent or straight, there’s some fabric bunching, and I’m sure a ton of other technical errors. But you know what? I love it and I am so proud of it. Washing and drying it made it crinkly and hid a lot of the imperfections. It’s the perfect size for cuddling under the couch.